Home » Big Red Curtain Yorkshire Stage School | Sing, Act, Dance and Perform! We are a Yorkshire Based Independent Stage School and Casting Agency with schools in Leeds, Wakefield, Wetherby and Harrogate, with over 20years experience we're one of the regions longest running independent theatre school and performing arts company. Our Leeds Stage School is held in Oulton near Rothwell and Covers Leeds City Centre, East and South Leeds. 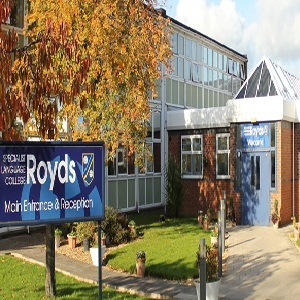 Click below to find out more about our Rothwell Theatre School. Our Wakefield Stage School is held in Horbury and Covers Wakefield, Ossett, Castleford and Denby Dale. 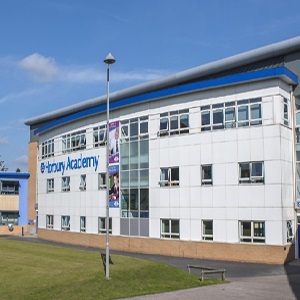 Click below to find out more about our Horbury Theatre School. Our Wetherby Stage School is held in Boston Spa and Covers North Leeds, Wetherby and Tadcaster. Click below to find out more about our Boston Spa Theatre School. Big Red Curtain Performing Arts is a Stage School, Casting Agency and Theatre Company that has been Established for over 20Years! Our Yorkshire Performing Arts Schools are located in Leeds, Wetherby and Wakefield. We are proud to be a local independent Stage School and Casting Agency specialising in providing high quality tuition of music, singing, drama acting, movement and dance for 6 to 18year olds. A specialist Early Years Section for 3-6year olds and our Adult Classes in Acting and Musical Theatre. 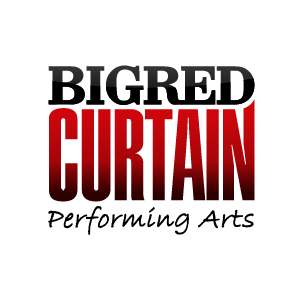 Big Red Curtain is a local independent performing arts school and casting agency based in Yorkshire. Established in 1997 our stage school has over 20years of industry experience and specialises in high quality tuition of music, drama and dance for 6 to 18year olds. We are a local independent stage school and casting agency ran by the teachers and not by an investor. We are NOT a franchise, we care about our students and are dedicated to creating a family focussed fun learning environment for students to grow in confidence by building not only performance skills but transferable skills they can use throughout their life. Our Yorkshire Stage Schools are based in Rothwell, South Leeds, Boston Spa near Wetherby North Leeds, Horbury in Wakefield and Harrogate North Yorkshire. All of our students have free inclusion into our Casting Agency where our students have received paid work from TV, Commercial, Radio and Theatre. We do NOT charge our students extra for their Casting Agency Listing and believe in promoting talent through performance, we only receive commission from work our students receive so it's in our interest to actively seek auditions and roles for them. We take this seriously and focus on working with Casting Directors to find students that are ideally suited to available roles and not waste their time by entering everyone regardless of their suitability. 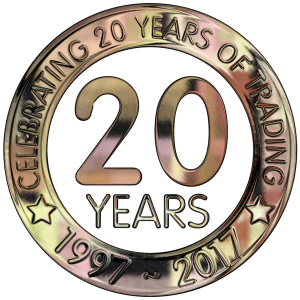 Established in 1997 with over 20 years of trading we are a long running performing arts company with stage school that have been setup and ran by dedicated individuals who have not only performed themselves but are experienced teachers. Our stage school is NOT a new company ran by newly qualified or inexperienced teachers or performers and is dedicated to providing accredited training through examinations and performances as it has done for over two decades. We have been providing Drama, Music Theatre, Performance and Dance Tuition for the North of England for over 20years many of our students go on to study at the countries finest conservatoires and drama schools. All of our students at our Yorkshire Stage Schools work towards UCAS recognised qualifications in performing arts from LAMDA or Trinity London (formerly Trinity Guildhall) which are qualifications for life, aiding not only in further education and university applications but accrediting our students hard work and achievements. Unlike some stage schools we don’t believe students should have to buy expensive uniform or incurr huge costume costs. We provide our Student’s with their uniform and supply costumes for all of our productions. We do NOT charge for compulsory uniform or charge for costumes that you don’t get to keep and only require a small refundable deposit which you get back on return of the costume. Being a Yorkshire based Stage School we like to hold our annual shows at professional theatres across Yorkshire. Our past venues have included The City Varieties in Leeds, The Royal Hall in Harrogate and the Carriageworks in Leeds. We have a limited student to teacher ratio to ensure the best quality group tuition there is never more than 15 students per teacher in our main school and 6 students per teacher for our Early Years Class. We believe in providing as many opportunities to perform as we can and in addition to our Annual Show we perform our own annual pantomimes where students are involved in the writing and pre-production, we also provide opportunities to perform at charity events independent of the stage school including events like The Candy Ball and Theatre in the Woods as well as other charity casting opportunities through our agency. We always offer a free no obligation trial which can be arranged by appointment in addition to holding regular Open Mornings/Afternoons for potential students. Saturday Morning's 9am - 12noon. Saturday Afternoon's 2pm - 5pm. 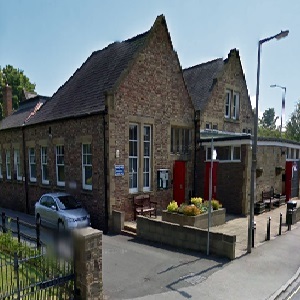 Click Here for Directions and Map or read more about our North Leeds / Wetherby Stage School on our Boston Spa Stage School Page. Arrange a free No Obligation Trial at our new Wakefield School or contact us to arrange your visit on the next open day - no previous experience necessary for ages 6-18yrs. Click here for Wakefield Directions and Map school you can go to our Wakefield Stage School page. Saturday Morning's 10am - 1pm. We ensure all of our teachers are qualified, dedicated professionals who care about our students. As a small independent stage school and not a franchise we care about each of our student’s welfare and personal development, we believe consistency in teaching is important and as such we don’t believe in swapping our staff/teachers. We hand pick all of our teachers based on skills, experience, qualifications and dedication. All of our teachers are Enhanced DBS (Disclosure and Barring Service) Checked formerly known as CRB Checked. Our stage school syllabus is an ever changing mix of music, drama, dance, and creative lessons working towards not just performances but internationally recognised qualifications in performing arts through optional exams. We cover Modern and Classic Drama Tuition, Vocal Training and Singing Tuition, Complementary Movement and Dance Training, Performance Skills, Casting and Camera Work and Examination Preparation and link this work in Live Performances and Recorded Work. Our Session Structure alters from time to time dependant on what our students are working towards e.g. Performances and Exams. A typical session would normally run as follows (with each age/ability group alternating between the classes). Our Drama classes are separated by age and ability and limited by a strict student to teacher ratio of 14 students to 1 teacher to ensure the best possible group tuition. We separate the 3hours into different lessons when we are not rehearsing for our annual Pantomime, the classes can be a mix of Drama Lessons, Singing Lessons, Vocal Tuition, Musical Theatre lessons, Dance Class or Movement Lessons, Performance Skills and Casting Skills. Students need to take a small entrance exam to join our stage school, but don’t worry! This is only to help us to place students in the appropriate groups for future exams and to find out each person’s individual strengths. We hold separate sittings for Drama exams and Music Theatre exams allowing students to be correctly placed according to their strengths in individual subjects prior to relevant exams. The groups are reviewed constantly and this helps create a more diverse group dynamic much like a real-life audition or casting situation. The groups are also brought together to work in a cast environment for events including live performances, group exams, pantomimes and shows. Big Red Curtain Yorkshire Stage Schools will provide high quality tuition of music, drama, dance and performance in a family orientated environment. Our Tuition will not only build confidence but provide essential life skills, as well as providing the opportunity to work towards recognised qualifications in performing arts. We endeavour to provide our students with opportunities to perform not just in our own productions but through paid and charity work from our Casting Agency.